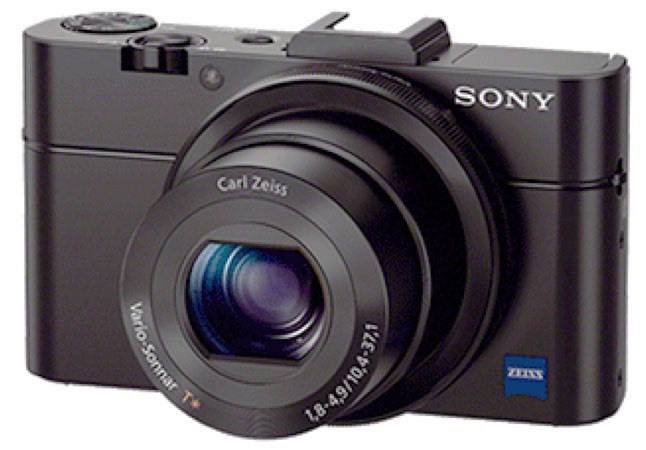 Sony has two large sensor compacts, the full frame RX1 and the 1" RX100. Both got a mid-term tweak today. The RX100 II adds a centered hot shoe, tilting LCD, and WiFi to the original model. All these features are welcome additions, though given the way Sony's implemented WiFi so far on most of their cameras, I'm not sure an EyeFi card wouldn't be a better solution for the communication side of things (though the Sony does have NFC to more quickly pair with a WiFi system). Other changes worth noting include ISO 100 as an option, the ability to add an EVF, and white balance bracketing. The sensor is tweaked slightly (Exmor -> Exmor R with backside integration) for better low light performance, and we have some additional video fps support. My review of the RX100 is forthcoming, and I'll try to tag on the RX100 II if it ships quickly. As many of you know, the RX100 is my pocket camera of choice most of the time. It has good image quality (especially if you consider it more like a 12mp camera), a wide array of features, raw file support, and a Zeiss-designed lens that's just versatile enough (28-100mm f/1.8-4.9 equivalent). The new version of the camera does gain a bit of weight (41g) and depth (1mm) to accommodate the tilt-LCD, but this is still a small, light camera that should fit most pockets, if need be. I also think the changes round out a solid performer in several useful ways. The one thing that didn't change that many of us were hoping for is the lens: it's still a rather slow f/4.9 at 100mm equivalent, and that's where it is weakest in shooting (if you stop down much to try to improve corners, you're deep in diffraction impacts). The RX100 II is going to be priced US$100 more than the RX100 at US$750. The RX1R changes only one thing from its predecessor: it removes the anti-aliasing filter. It's the same age old story: doing this changes the balance between acuity and moire production. You can have more of one but will get less of the other, and vice versa. Without an anti-aliasing filter, you'll get more acuity out of the RX1, but you'll also trigger moire impacts more often. This is a tricky tradeoff that even those of us who understand it sometimes don't always fully appreciate. To some degree it depends upon what type of shooting you're doing. The RX1 isn't a landscape camera, for example. In landscapes, I rarely worry about moire, but often want more acuity. Taking pictures of people (fabrics) and travel (architectural detail) are on the other hand areas where moire can pop up with regularity. Without a zoom lens, your only option if you get into a moire-producing situation is to move your feet. Removing moire via software after the fact is like noise reduction software, only worse: you will clobber detail, especially color detail. That said, I tend to prefer a camera without an AA filter these days. We've hit a high enough pixel count that, for most output, moire production tends to get buried in the pixels where we can't actually see it. Of course, if you're a heavy cropper or are printing really big, your results may vary from that. The RX1R is US$2800.